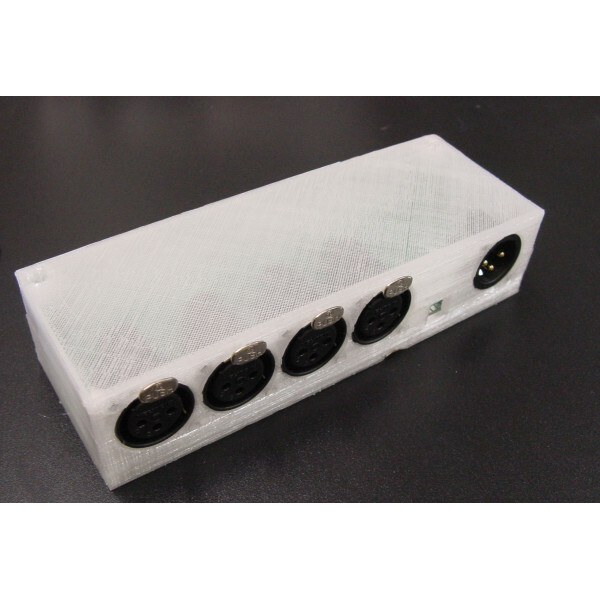 Combine one BitWizard DMX isololator input board and one 4 channel output board in this 3D printed case! The case will be printed on demand on a simple 3D printer. This means the case could have some minor imperfections. 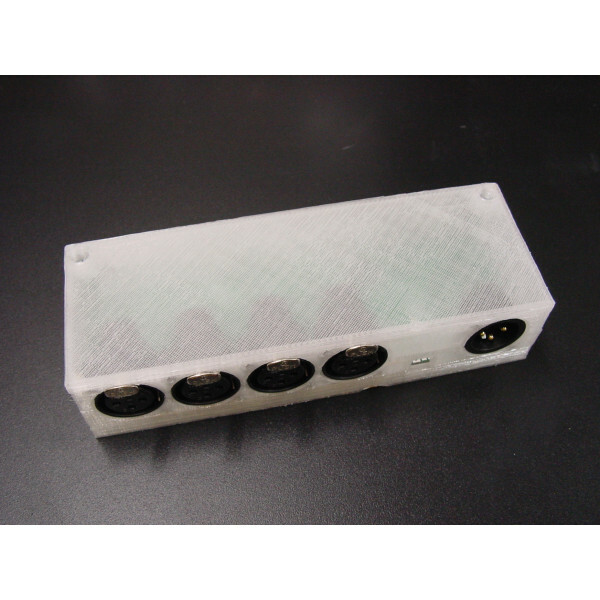 By using our DMX isolotor you can split a single DMX signal into multiple optically isolated outputs. Each output module has 4 channels, but because o..